We were delighted to be instructed to sell these three gorgeous cottages earlier this year. Being involved from the outset has been particularly interesting for myself especially, as i used to frequent The Queens Head in my youth. Now totally refurbished to a high standard by PJ Building Services it provides beautiful homes, tastefully restored for First Time Buyers, keen to get themselves on the property ladder, all eager to live in a quirky yet modern house and close to Rivington. 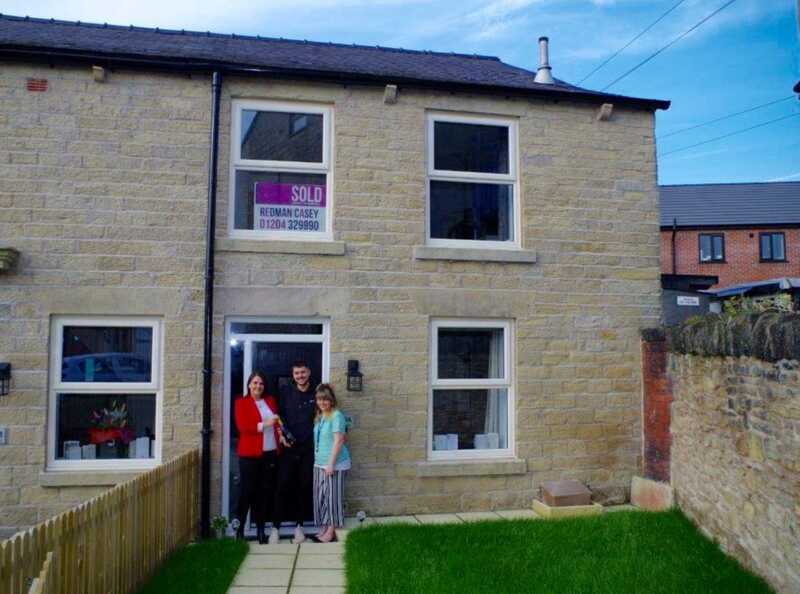 Congratulations Lewis and Megan our first couple to complete and move-in and happy to have their photo taken with Janet, whilst handing over a bottle of bubbly to celebrate.